There are very few reasons to stay sequestered in your home if you are using a wheelchair. There are a number of ways to go out, on your own, without the need for any assistance, if all the right items are purchased to make this possible. In addition, going out and just traveling around the neighborhood is absolutely possible by looking at getting a motorized powerchair, which doesn’t require the enormous upper arm strength it takes to operate a standard wheelchair. Many of the motorized chairs now have a portability factor that is second-to-none. It is nice to be able to have a chair that can be folded up in seconds and that which is small and lightweight when collapsed. This creates freedom for those who cannot ambulate as they once did, or who are requiring a wheelchair to get around. For many getting on in years, this kind of portability might be something they want just so they can get around amusement parks and even shopping malls, or big box stores. Many people in wheelchairs look at getting hitch lifts if they have a larger wheelchair that is not portable. Some of the larger motorized chairs, with the addition of a hitch lift installed on a minivan, allow users to drive themselves right into their vehicle, and then transfer to the driver’s seat. There are a number of companies that are leveraging technology to help those that are visually and physically challenged never feel as if they are alone. The technology that exists now can have a person put on a pair of sunglasses that double as cameras. The service that comes with the glasses allow the user to contact a person, in a call center, that will help guide them to where they are going, help them to find out which direction to travel in to arrive at a particular location, or simply be a second set of eyes for those that find comfort in this type of service. We are only seeing the beginning of this type of technology, but in the fullness-of-time, this technology is going to allow millions to remain in their homes, avoiding institutionalization, well into their golden years. Our elders near-disproportionately do not want to end up in a care facility later in life. These glasses and all other occupational therapy assistive items will keep people fully able to perform their activities-of-daily-living (ADL) and maintaining independence. Using technology, like smartphones, to let family members and loved ones know where you are traveling to, how long you intend to be there and what time you are planning to be home is also very important. For those that are comfortable with this smartphone feature, there are location-based options so that others can check in on your whereabouts. If there was one auspicious development relative to elders and independence, it is technological advances. There are also a number of resources to learn more about avoiding accidents and falls for seniors. Physical and mental fitness have a tendency to go together. The more exercise you get, the better you feel and the happier you are. Having independence, in the form of a portable wheelchair, provides for independence getting people out of their homes and feeling better. Getting to a fitness center is that much easier when one can get around easily, without relying on others, where perhaps one can partake in the all-important water therapy. Many fitness centers have soaking pools and are designed with those that are elderly and/or physically challenged. Many major grocery stores now have delivery services. Although someone might have the ability to get out and do their shopping, it is also nice to know that in inclement weather, groceries can be delivered through online ordering. This makes life much easier for many. Also, there are now task services, in most metropolitan areas, where help can be ordered for a specific task, like perhaps collapsing and putting a portable wheelchair in the trunk. A person simply arrives, helps put items in your vehicle, and then they are gone; it is that simple. There are also online communities to join when sourcing new information on how to lead a better, more independent life in a cost-effective way. The goal of most all family members is to keep their elders comfortable in whatever capacity they choose. 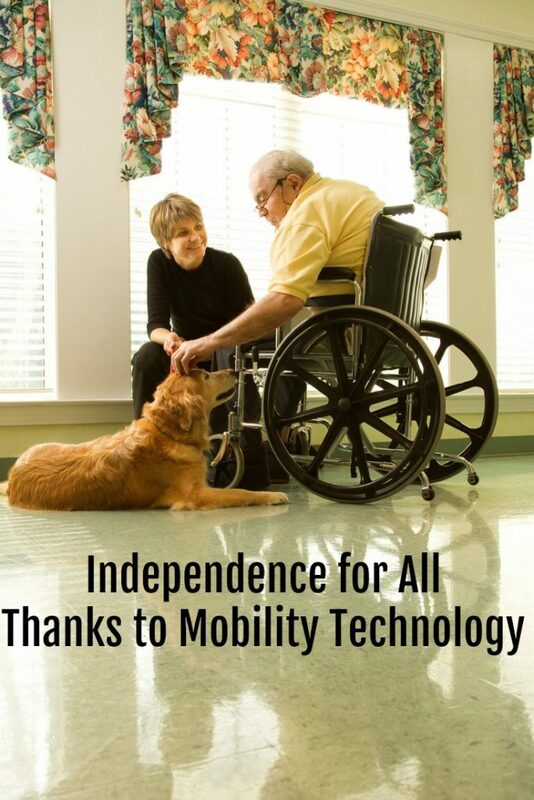 If someone wants to remain in their homes, but are wheelchair bound, or not able to get around as they once did, using all the tools technology has delivered to us to make this possible will help achieve this. Those that are using wheelchairs will be enthralled to find that there are portable, lightweight options. The investment in a minivan, if not currently owned, and hitch lifts can be costly, and this might be an issue for some. It is entirely much easier to just get a chair that can be put in the trunk and be on the move, enjoying a full life. Thank you for the informative article. My dad is having mobility issues and this article was a god send. Thanks again and keep up the good work. God bless you. Thanks For Sharing This Awesome And Informative Post. How Can I Appreciate To Your Work I Can Not Describe It On My Language? Your Blog Help Me More To Survive My Disable Life and travel with it. I read the full post very carefully that gives me extra energy to survive my disabled life as a new human like a wheelchair user. You point out the exact things modern technology are the best bless for disabling people. I willing, Day by day you post such an awesome blog post. Hey, thanks for the great article. I found it really helpful.